Alexandria: Alexandria is the second-largest city in Egypt and a major economic centre, extending about 32 km (20 mi) along the coast of the Mediterranean Sea in the north central part of the country. Its low elevation on the Nile delta makes it highly vulnerable to rising sea levels. 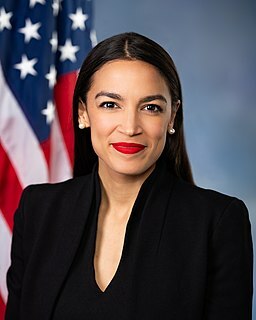 Alexandria Ocasio-Cortez: Alexandria Ocasio-Cortez , also known by her initials, AOC, is an American politician and member of the Democratic Party. Since January 3, 2019, she has been the U.S. Representative for New York's 14th congressional district. Alexandria, Virginia: Alexandria is an independent city in the Commonwealth of Virginia in the United States. As of the 2010 census, the population was 139,966, and in 2016, the population was estimated to be 155,810. Alexandria, Louisiana: Alexandria is the ninth-largest city in the state of Louisiana and is the parish seat of Rapides Parish, Louisiana, United States. It lies on the south bank of the Red River in almost the exact geographic center of the state. Alexandria, Minnesota: Alexandria is a city in and the county seat of Douglas County, Minnesota. First settled in 1858, it was named after brothers Alexander and William Kinkead from Maryland.